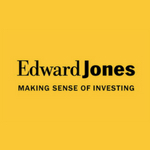 As your Edward Jones branch team, we believe it's important to invest our time in understanding what you're working toward before you invest your money. Working closely with you, I can help determine the most appropriate financial strategy for you and your family. I can also help with your retirement savings to ensure you have more options when you retire to pursue your retirement lifestyle.